According to the Old Testament, Job was a prosperous and righteous man, who wanted to live his life in a manner that would be pleasing to God. He had a wife, seven sons, three daughters and abundant wealth, but he was neither prideful nor boastful. Rather, he was thankful and consistently made burnt offerings to God. Satan did not believe that Job would turn against God if all his happiness were taken away, so he set out to smite Job to test his love of God. First, all of Job's children were killed and his possessions destroyed when a roof collapsed on them as they were gathered for a feast. Then, Job himself was afflicted with festering boils. Although he was confused by these events and desired to prove his innocence before God, he never gave up his faith. God responded to Job's prayers, saying that it is arrogant of Job to think he could possibly prove anything to the creator of the universe. The creator of the universe has complete dominion over his creation, God tells him, and He is does not necessarily have to conform to humanity's understanding of fairness. Ultimately, God restores Job's life, giving him seven new sons and three new daughters, twice the wealth he had before, and presumably healing his boils. Bellini was commissioned to paint this piece, but his innate sense of religious devotion (not to mention devotion to Venice), and the artistic tradition he was immersed in helped fuel the inspiration for the San Giobbe Altarpiece. This group of men is believed to have commissioned this painting from Bellini for the new Church of San Giobbe in Venice. Previously, the confraternity had supported a hospice center for Venetians suffering from the plague and other life-threatening illnesses. The hospice was named in honor of St. Job (San Giobbe, in Italian), who was said in the Old Testament of the Bible to have been plagued by painful boils. The confraternity eventually decided to expand the hospice into a church in honor of their patron saint and commissioned a group of artists, including Bellini, to create paintings to adorn the inside. All Italian artists of Bellini's time were expected to paint religious scenes and holy figures. These were in high demand and some scholars speculate that every home in Venice had at least one painted religious depiction. These religious paintings were strongly inspired by the gilded Byzantine icons that had been being painted for centuries, both to honor and commemorate the holy figures represented and to give illiterate worshipers something concrete to help them better understand their religion. 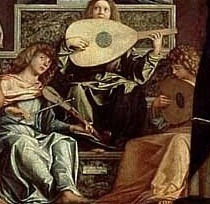 Bellini, like his contemporaries, was continuing in this tradition that remained dominant until the end of the Renaissance. Evidence suggests, however, that Bellini himself was a devout, though not religiously-consumed, man who sincerely wanted to pay homage to the various religious figures despite his paycheck. Prior to the 1570s, Bellini had used tempera egg paints almost exclusively. That all changed, however, when he met Antonello de Messina, the Sicilian painter credited with spreading the use of oil paints throughout Italy. Although there is nothing technically deficient about tempera paints, oil paints gave Bellini's personal style a real stage to shine from. Oil paints allowed for paintings, such as the San Giobbe Altarpiece, to glow with an almost inner light due to the ease with which the paints allow for color blending. Oil paints helped Bellini deliver a sfumato that softened his figures and allowed for greater detail to better express emotion. 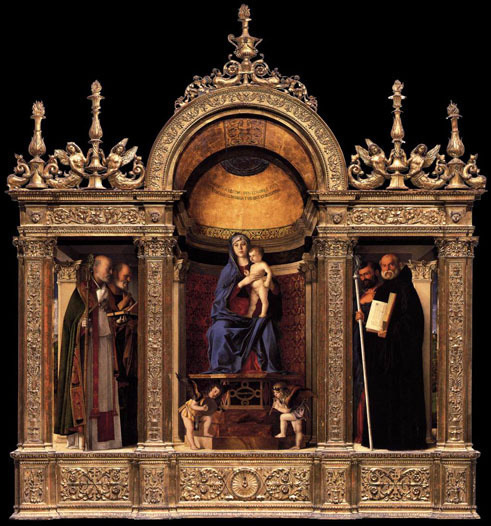 The San Giobbe Altarpiece is expertly balanced and nearly completely symmetrical. Nine of the figures are grouped in elegantly arranged trios, leaving the two holiest figures, Mary and Jesus, residing in splendor atop the marble throne. The bottom half of the painting houses these eleven figures, while the top half is a structurally intricate portrayal of a vaulted ceiling, gilded dome and carved marble. This architecture is meant to trick the eye into thinking it is an extension of the church itself and that the figures are indeed living, breathing and present. The subjects of the painting are the seated Virgin and Christ Child, the seated band of angels at the foot of the throne and those standing, from left, St. Francis of Assisi, St. John the Baptist, St. Job, St. Dominic, St. Sebastian and St. Louis. The saints balance each other through careful juxtaposition, yet are interconnected in a variety of ways. 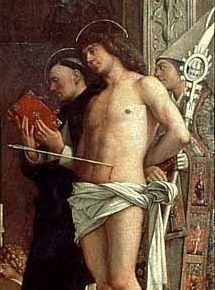 St. Job, for instance, stands closest to the throne, the place of highest honor and his posture and age are counterbalanced by St. Sebastian's. Furthermore, St. Job is connected in the painting with St. Louis because the latter's robes contain a miniature depiction of the former. Bellini's use of light is unparalleled by his contemporaries, and the San Giobbe Altarpiece is a beautiful reminder of this. 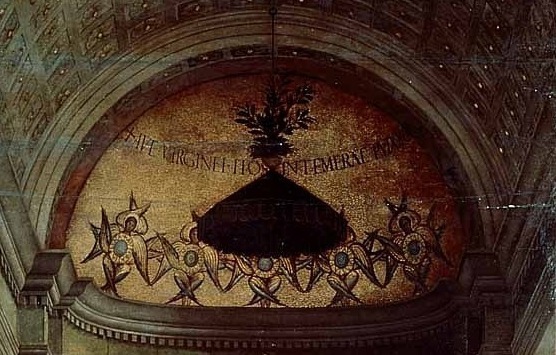 The light source is unseen, but is aligned with where the actual windows in the church of San Giobbe would have hit the painting in its original position. This adds to the painting's startling realism and also highlights some of the most important parts of the image, such as the Virgin and Jesus and St. Job. During the last 36 years of his life, Bellini's San Giobbe Altarpiece graced the humble Church of San Giobbe, where it was given a place of honor and where worshippers would have been able to admire its beauty and contemplate its religious themes throughout the service. 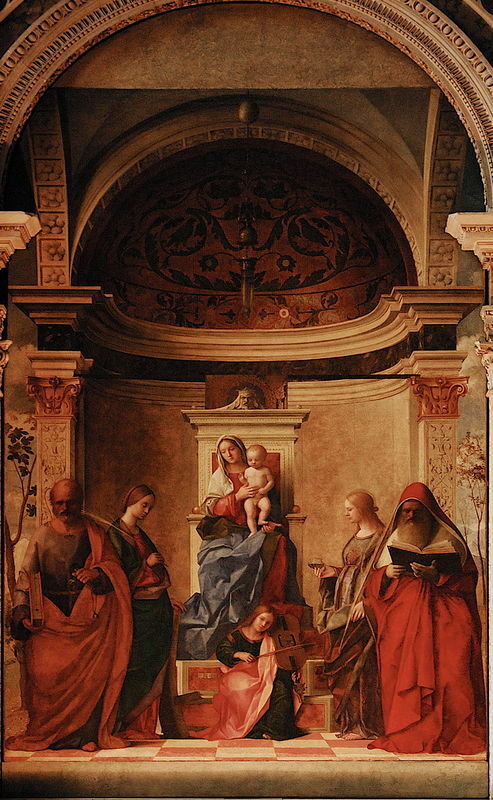 Presumably then, it was a beloved piece of art during Bellini's life, since there is no evidence to suggest that the confraternity that commissioned it or any of the church's parishioners were unhappy with the end result. In the immediate centuries following Bellini's death, his San Giobbe Altarpiece peacefully hung in the church, an unobtrusive tribute to the late artist's prowess. In the late 1700s, however, it was swiped, along with countless other Venetian masterpieces, by the French when Napoleon Bonaparte ransacked Venice. 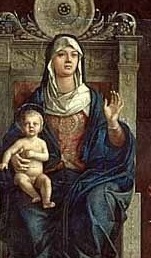 At the time the painting was stolen, no real measures had been taken to ensure its survival - it had just been innocently sitting in the church. Once the painting was returned to Venice, it went directly to the Accedemia, which leads scholars to assume that critics didn't know what they had until they lost it. Today, the San Giobbe Altarpiece is lauded by critics and scholars as one of Giovanni Bellini's greatest works, expertly executed and especially representative of the middle of his career. 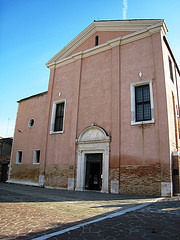 The San Giobbe Altarpiece was housed in the Church of San Giobbe in Venice between its completion around 1480 and 1797. The San Giobbe church itself was begun in 1378 as a hospice with an attached oratory run by the Confraternity of St. Job. With the financial support of Doge Cristoforo Moro, the present church was constructed between 1450 and 1493. Naturally, this new church would need religious artwork to fill its bare walls. 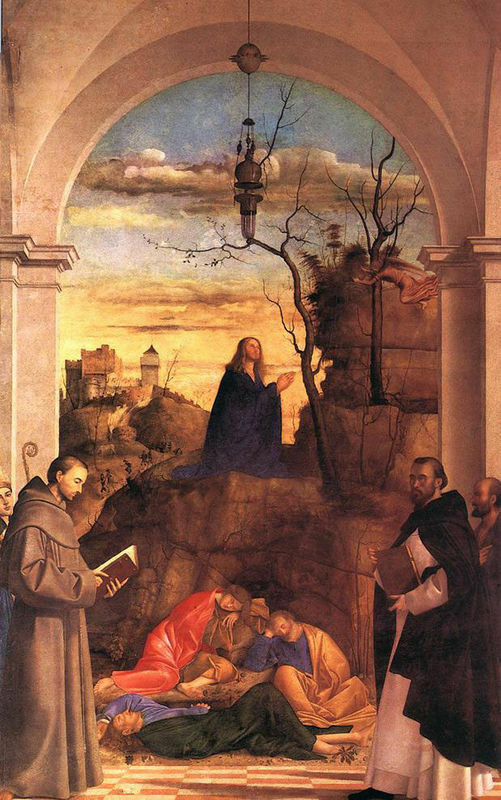 Bellini's San Giobbe Altarpiece, along with Carpaccio's Presentation of Christ in the Temple (said to have been inspired by Bellini's piece), and Marco Basaiti's Agony in the Garden all decorated the church for the next three centuries. No record remains as to how much Bellini received in exchange for the painting, but it may have been the only actual money exchanged for the work. In 1797, Napoleon, during his military sweep of Europe, sacked Venice and destroyed or pillaged countless artistic treasures, including the three marvels of the Church of San Giobbe. Bellini's work was shuffled off to France and paraded around Paris as a spoil of war. Fortunately, all three of these masterpieces were returned to Venice in 1816 and were hung in the Accademia in the same order as they had been arranged in the Church of San Giobbe. 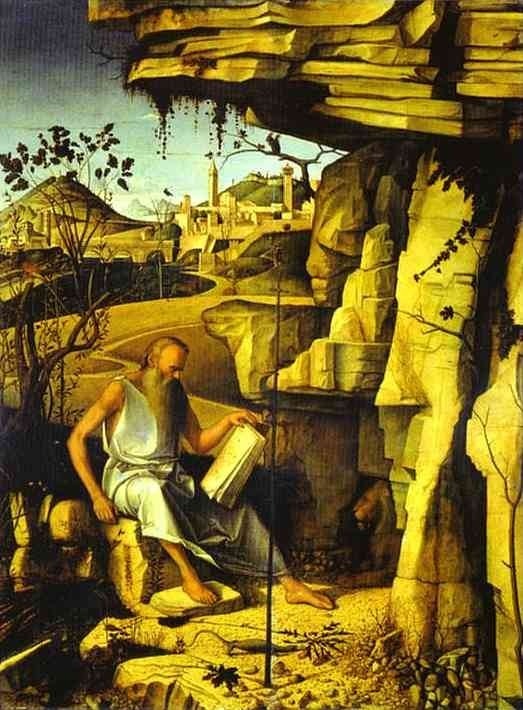 Giovanni Bellini was born into a prominent family of painters and lived in Venice his entire life, from c. 1430-1516. His San Giobbe Altarpiece is one of his greatest surviving religious paintings. 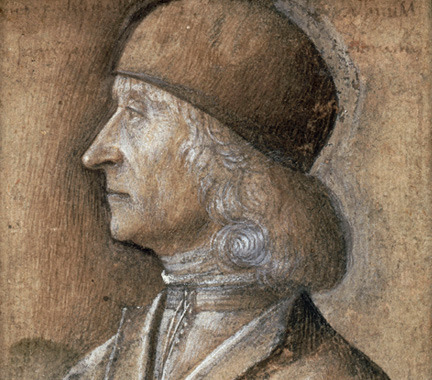 Bellini was an artist of the Italian Renaissance and was instrumental in creating the transition from Early Renaissance to High Renaissance in Venice. His father, in fact, is credited with solidifying the Renaissance's place in Venetian art. To find out more about Bellini and his paintings please select from the following recommended sources.